From the cutest clothes to baby essentials, you’ll find it all at Macy’s kids shop. Whether you’re shopping for a baby shower gift or stocking up on goodies for your own, we’ve got you covered. Look for kids apparel ranging from newborns to toddlers and beyond, toys, and tools for helping mom and dad out. 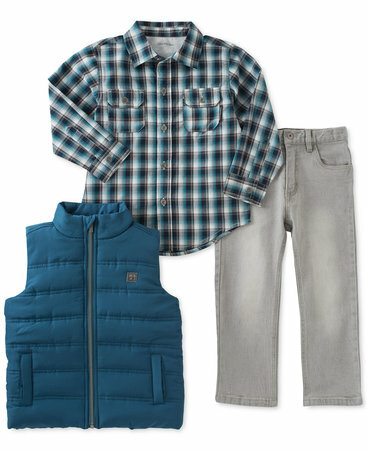 Find everything you need for babies and beyond when you shop Macy’s kids selection. Nike's Dri-FIT T-shirt helps him stay cool and dry with moisture-wicking technology while the classic Swoosh logo at the front brings court-ready style. Nike styles him cool for the court with these comfy, moisture-wicking Dri-FIT basketball shorts designed with a longer inseam and secure, adjustable drawstring at the waist. Nike provides lightweight warmth and classic sporty details with this pullover hoodie styled with updated design lines on Nike Therma fleece fabric. Designed to keep him cool during practice and play, the Nike's Trophy training shorts feature moisture-wicking technology for lightweight ventilation. She'll be cute, comfy and completely stylish in these denim jeans from Epic Threads. Get him ready for a day of fun and play in this comfortable and convenient set from First Impressions that features a short-sleeve striped T-shirt and pair of shortalls with a cute puppy graphic. Outfit your little one with the most precious clothing and gear. Whether you’ve got a baby on the way or you’re on the hunt for a baby shower present, Macy’s got you covered. 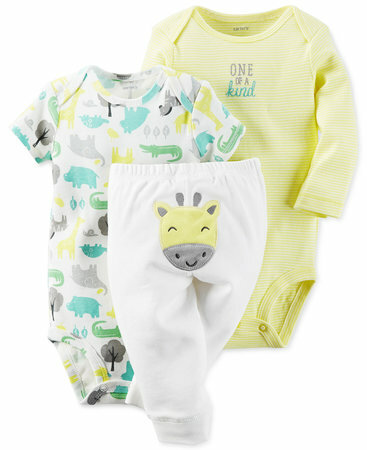 Score big when you shop all baby items, and discover adorable finds for boys and girls. Add some pizazz to your little one’s wardrobe when you shop the colorful assortment of girls’ clothing. Browse the collections of activewear, jeans, pants and jackets to find chic apparel that she can sport for any casual occasion. Your little lady will love the great many fashions that can update her wardrobe. When shopping for your little man, you know that it’s important they wear apparel that’s comfortable, durable and stylish. Browse the fun, sporty looks of casual boys clothing for gear they can wear on the playground, at school or relaxing at home. 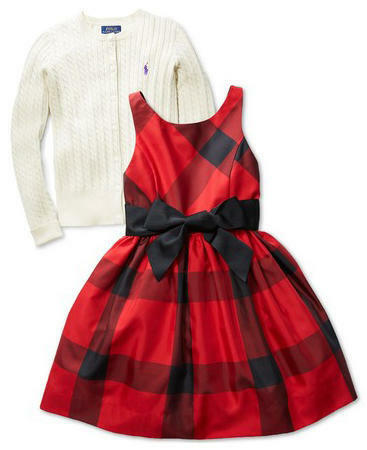 Shop Macy’s today for stylish apparel for your fashionable kid.